The first time I made this was when I was in college. It was first year that baker’s man and I were together. 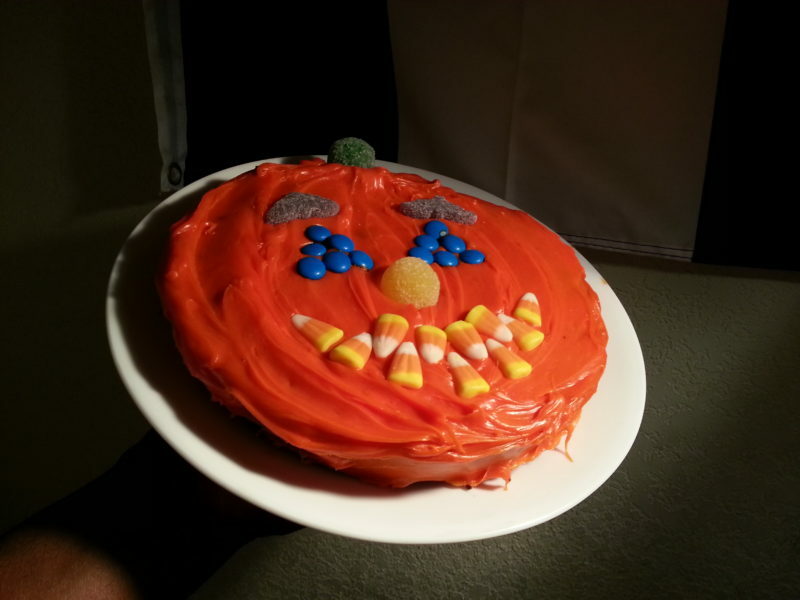 I wanted to impress him with my domestic skills, but I wasn’t really good at cake decorating. Instead of the usual way to decorate, I used a bag of m&m’s and some jelly candies that we had on hand to decorate a pan of brownies. It was a tradition early in our marriage, but after we had kids, we eventually switched to making mud for Halloween dessert.